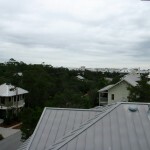 The peak market in South Walton Beach and Panama City Beach topped out in 2007. We are now 6 years past the peak market and many distressed sellers are now shifting into potential buyers. Many of our past clients and new clients have been contracting us about being financial capable of purchasing a home post foreclosure or short sale. The question is, when will their credit allow them to purchase their next home? Rules for qualifying for a mortgage vary widely between lenders and loan programs, but one of the most-often used loan programs is the FHA mortgage. However, the details of how a home buyers must qualify diverges widely from the way sub-prime home buyers were qualifying for loans in the past. The new practices, while still generous to the buyer, create far greater protections for the lender and the American public who, in the long run, foot the bill for defaults. Home buyers with foreclosures, short sales and bankruptcies on their records need to show a consistent history of pristine credit since the time of their foreclosure. While the changes in lending to borrowers who have past foreclosures, short sales and bankruptcies may not satisfy all critics, there are also mitigating factors that underwriters take into consideration. Even though a home buyer’s past foreclosure may have been closed as of three years ago, the banks sometimes take up to a couple of years to push a foreclosure through. That person may have essentially handed the home back to the bank five years ago and been repairing their credit ever since. Underwriters can take this into account. It is critical that borrowers work to repair their credit and wait out the FHA loan requirements for foreclosures, short sales and bankruptcies. 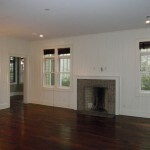 WaterSound Beach Foreclosure 189 Gulf Bridge Lane Hot Property Alert! 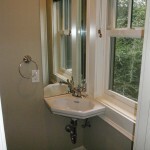 3 Contracts in the first 24 hours SOLD in June 2010 for $1.1Mil! 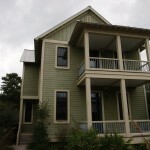 189 Gulf Bridge Lane in WaterSound just hit the market for $1.1million and a Bank Owned Property! 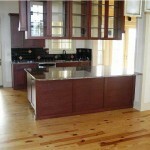 This home had multiple offers on it when it was listed for $1.5million as a short sale in late 2009. 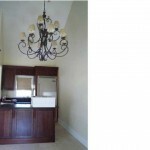 The short sale did not go through and is now listed at a ridiculously low price. 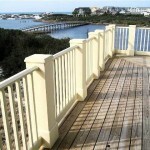 This steal in WaterSound Beach will not last long. 189 Gulf Bridge Lane is a brand new coastal residence in WaterSound Bridges with breathtaking panoramic views of Camp Creek Lake and the Gulf of Mexico! This exquisite home is designed with a spacious open floor plan, vaulted ceilings, hardwood floors, a gourmet kitchen with granite counter tops and stainless steel appliances. The home was thoughtfully planned to take advantage of the gorgeous views and to maximize outdoor living by incorporating large wrap around balconies, a screened BBQ summer kitchen and an outdoor fireplace atrium constructed with detailed architectural character and outstanding quality. As a Realtor it is always a challenge to sift through the media hype, buyer and seller sentiment, analyze market data and trends, and derive a forecast as to what will happen to the Real Estate market in 12 to 36 months. As we are all well aware we had a horrific Real Estate Market crash and then experienced a softening of the crash and began to define a bottom to the market in late 2009. An interesting article by Jason Simpkins, Managing Editor or Money Morning believes the perceived market rebound is pre-mature and the market will continue to languish. I believe we are facing a very long road to recovery and South Walton Real Estate has defined the bottom for single family residential homes as evident with a steady increase in Real Estate transactions in 2009 and a strong start in 2010. Distressed Real Estate including foreclosures and short sales will continue to impact the market and we will see continued price reductions in land sales. Reports of a rebound in the U.S. housing market have proven premature – just as we warned. Existing home sales surprised the markets in November – when the $8,000 tax credit was originally set to expire – by zooming 7.4% to an annual rate of 6.54 million units, the highest since February 2007. But that increase proved unsustainable as ineffective government programs and high unemployment continue to hamstring the housing market. "What you will see is another spike in home sales leading up to when the tax credit is set to expire again in the spring," Hutchinson said in an interview. "There will be a small blip around April, but that's all." The market will languish after that, Hutchinson said, as the U.S. Federal Reserve stops its purchases of mortgage-backed securities and mortgages become harder to obtain. The Fed is scheduled to end its purchases of mortgage-backed securities on March 31. Indeed, the government initiatives that effectively propped up the housing market last year will come up an abrupt end in a matter of months. The government's Home Affordable Modification Program (HAMP) last year failed to stymie foreclosures, which instead spiked to a record 2.8 million. That was a 21% rise over 2008 and a 120% increase over 2007. RealtyTrac expects that lenders will repossess some 3 million homes this year as the U.S. jobless rate clings to the 10% mark. The U.S. has shed 7.2 million jobs since the recession began more than two years ago and the national unemployment rate stagnated at 10% in December. The Obama administration set aside $75 billion to subsidize lenders that successfully modify troubled loans by reducing interest rates, extending loan repayments, deferring principle payments for as long as five years and adjusting other mortgage terms. However, about 25% of homeowners who received trial loan modifications through the plan are failing to keep up with their newly reduced payments, and at least 196,000 borrowers have missed some or all of their required payments. HAMP, which was designed to help as many as 4 million Americans, has successfully modified just 66,465 loans. And with the unemployment rate lingering in the stratospheric double-digit range, foreclosures will almost certainly continue to plague the housing market. "None of these programs have really been a success," Vivek Sriram, a mortgage strategist for RBC Capital Markets Corp. told Bloomberg News. "With the high unemployment rate, it's tough to solve the problem because these people will re-default even if their loan terms are fixed." Money Morning's Hutchinson believes Congress will consider extending at least some of its housing programs, but that will be difficult to do with a budget deficit of $1.4 trillion expected for the fiscal year 2010. "I don't think we've hit bottom yet," Hutchinson said. "Artificially inflated bubbles such as the housing market don't necessarily deflate the whole way, because the Fed often steps in and does something maniacal. "At some point, though, either resurgent inflation or soaring commodity prices will force [U.S. Federal Reserve Chairman] Ben Bernanke to raise interest rates. At that point, reality will return to the housing market, too." Is A Foreclosure Surge On The Way? WASHINGTON – Feb. 11, 2010 – The number of U.S. households facing foreclosure in January increased 15 percent from the same month last year, and a surge in cash-strapped homeowners who’ve fallen behind on mortgages could be on the way. In January, one in 409 homes was sent a filing, which includes default notices, scheduled foreclosure auctions and bank repossessions. Banks repossessed more than 87,000 homes last month, down 5 percent from December but still up 31 percent from January 2009. 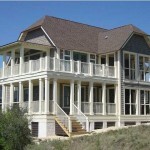 Foreclosed homes are usually sold at steep discounts, so they often lower the value of surrounding properties. Cities lose property tax dollars from foreclosure homes that sit empty and from declining home values, straining local economies. Home prices have stabilized in some cities but are still down 30 percent nationally from mid-2006. Soft Foreclosures Are They Just Another Delay? After hundreds of billions spent in bailouts for distressed homeowners, I am not sure what I think of this latest idea from Citigroup. Are they just delaying the impending doom? One thing is for sure…we have delaying foreclosures for almost two years, court systems are log jammed with foreclosure case files and lenders are panicked about a massive surge in foreclosures. When is this massive foreclosure surge going to hit? Seeking alternatives to the nation’s struggling foreclosure prevention efforts, federal and mortgage industry officials increasingly are looking for ways to get distressed borrowers to leave their homes voluntarily, without going through the expensive foreclosure process or a messy eviction. Citigroup, for instance, plans to announce a pilot program on Thursday that would allow delinquent borrowers who don’t qualify for or decline mortgage relief the opportunity to stay in their homes without making payments for up to six months before turning over the keys, in return for keeping the property in good condition. The bank estimates that up to 20,000 borrowers in Texas, Florida, Illinois, Michigan, New Jersey and Ohio could be eligible. The program is just the latest amid a growing acknowledgment that foreclosure prevention efforts will fail to reach millions of borrowers over the next few years. “This is a graceful way to move on with their lives instead of being foreclosed on and being evicted from their homes,” said Sanjiv Das, chief executive of CitiMortgage. The Citigroup plan attempts to address some common industry complaints, including borrowers who leave their homes in disarray after foreclosure, requiring lenders to spend thousands of dollars fixing up the property before putting it on the market. Also, homeowners who owe far more than their homes are worth increasingly are choosing to “strategically default,” even though they can afford to pay their mortgage. The new program gives CitiMortgage more control over when distressed homes are put up for sale, bypassing clogged courthouses that have slowed the foreclosure process in many parts of the country. By avoiding a glut of foreclosures that could hit the housing market within the next 16 to 18 months, the program – if it is replicated throughout the industry – could help prevent another dip in home prices, Das said. It would be a more orderly process “than if all of the foreclosed properties came crashing at some point in the cycle,” he said. Other initiatives have also emerged for borrowers likely to lose their homes. Fannie Mae and Freddie Mac, the mortgage financing companies, developed programs allowing former homeowners to become renters after a foreclosure or other proceedings. As part of its federal foreclosure prevention program, known as Making Home Affordable, the Treasury Department announced late last year that lenders would be eligible for $1,000 in exchange for allowing borrowers to sell their home in a short sale. In such deals, the borrower sells the home for less than the outstanding mortgage, and the lender forgives the difference. Moody’s Economy.com has forecast that the number of short sales and transactions in which borrowers surrender their deed in lieu of foreclosure will increase more than 50 percent, to about 490,000, this year. That is just a fraction of the 1.9 million homeowners Moody’s has forecast will lose their homes to foreclosure this year, up from 1.7 million last year. But lenders have struggled to make many of these programs effective. 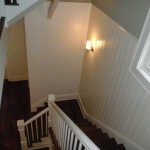 The short sale is often lengthy and cumbersome for homeowners. In some cases, borrowers have second liens on the property, which can hang up the process. And lenders are sometimes suspicious of the potential for fraud if the home is sold cheap to a friend or family member of the borrower. It’s unclear how rental programs for former homeowners are working. Fannie Mae launched its “Deed for Lease” program in November, offering borrowers a 12-month lease in return for turning over the keys to their former home and maintaining the property. A company spokeswoman said that it was too early to judge the program’s success, but that former homeowners who surrender their deed to avoid foreclosure – numbering nearly 2,000 through the third quarter of last year – would be eligible. Freddie Mac’s year-old program targets former homeowners after their foreclosure, offering them a month-to-month lease. 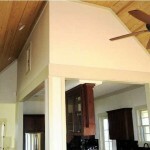 It has not released specific data on how many homeowners have chosen this option. Citigroup’s program goes further. 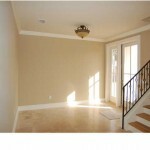 It targets delinquent homeowners who do not qualify for mortgage relief. During the time the borrower is still in the home, they must continue to pay utilities, but in some cases, the bank may help cover some of the taxes, insurance or homeowner association fees. The borrower would also be eligible for transition counseling to help find a new home, and a minimum of $1,000 to help offset moving costs. 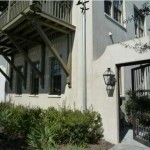 Rosemary Beach Foreclosure 69 Johnstown sold $985,000 April 2010! 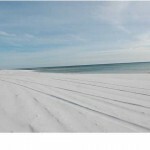 Rosemary Beach is one of my favorite places on Scenic 30-A to enjoy the best of what the Emerald Coast has to offer. Friends and families converge in Rosemary Beach’s downtown that defines the casual beach lifestyle with quaint restaurants, cafe’s, and shopping. Rosemary Beach’s architectural inspirations come from the West Indies that can be viewed by walking its meandering pedestrian paths and boardwalks that lead to some of the most pristine white sand beaches along the Emerald Coast. 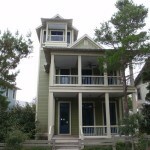 Homes sales in Rosemary Beach for 2009 were stagnant, but a recent surge in sales in January 2010 has sparked a new flame of interest from savvy buyers who can appreciate all that Rosemary Beach has to offer. 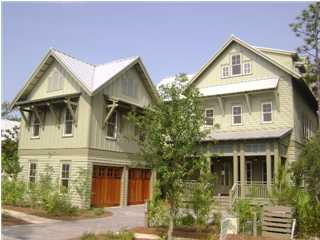 69 Johnstown Lane in Rosemary Beach is a Bank Owned REO and tops my Distressed Property pick for the week. 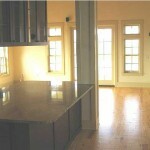 This 4,100sf home is a steal at $329/sf considering most homes cost more than $400/sf to build in Rosemary. As one of the top destination along the Emerald Coast, Rosemary Beach enjoys a strong tourism season throughout the year bringing significant rental revenue to investment homes and the second home market. 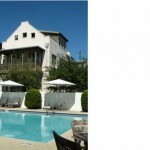 This in combination with Rosemary Beach’s world wide notoriety and special financing by the bank of 3.5% interest rate makes 69 Johnstown Lane an excellent investment opportunity. Rosemary Beach Luxury Home Market Analysis and Market Snapshot – This detailed report will give you a breakdown of the homes sold in the last 3 months, their days on market, current inventory and much more. 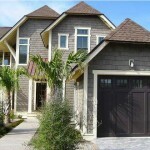 It is an excellent resource if you are looking to buy or sell in Rosemary Beach. 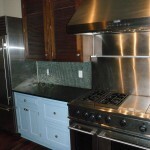 This home leaves nothing to wish for…Top quality finishes and amenities abound. 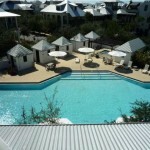 With the Cabana Pool just outside your private courtyard the best of Rosemary Beach is just a few steps away. Features include 2 car garage, huge kitchen with top of the line Viking appliances, 48″ professional gas range with griddle, double ovens, custom built-in bar with carrera marble, wine refrigerator and ice machine, travertine floors, honed absolute granite and plenty of custom cabinetry. 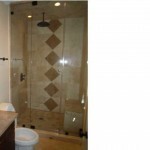 Main level master suite offers 2 master baths, steam shower, roman soaking tub, and large closets. 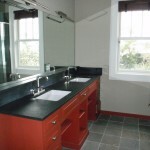 Seller financing – 30 Year Loan-5/1 ARM; 10.1% down, 3.5% RATE up to 475k and 4.5% over 475k! If you are interested in buying a luxury home in Rosemary Beach or if you are interested in Team Baranowski listing your home. Please give Tracy Baranowski a call at 850.259.4270 or Craig Baranowski at 850.259.1788 or email us info@teambaranowski.com. 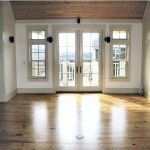 2010 is already on its way as being an epic year for Real Estate. Many industry experts are anticipating record foreclosures and mortgage defaults as our economy crawls back from the worst recession of our generation. 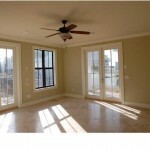 With unemployment expected to hit records in 2010 we are closely watching and analyzing the Real Estate Market. An estimated 4.5 million homeowners owe more than their homes are worth. That number is likely to peak at 5.1 million in June, affecting 10 percent of homeowners and making them increasingly likely to just walk away. Consultants at Oliver Wyman calculated that 17 percent of owners defaulting in 2008 –about 588,000 – chose to default even though they could pay. First American estimates that it would cost around $745 billion – about the same as the original 2008 bank bailout – to restore all underwater borrowers to the break-even point. Doing so would be seen as highly unfair by many taxpayers, says Michael S. Barr, assistant Treasury secretary for financial institutions, but doing nothing would be another blow to a fragile economy. 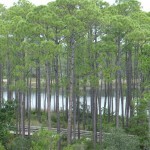 Mortgage Modifications in Florida Are Abysmal! Do you remember my article in December 2009…New Math Equation: HAMP + HARP + TARP = DUD? Well I guess I did not use strong enough words. I am not even sure abysmal is strong enough. Complete failure…utter disaster…absolute waste of a few hundred billion dollars! Anyway you slice it, a permanent loan modification under President Obama’s nearly year-old program to stem home foreclosures has been a horrific failure. So bad that I believe we may have been better off with out any bailout programs and saved tax payers hundreds of billions of dollars. So how bad is it? Florida ranks third in the nation for foreclosures and has over 1 and 6 homeowners currently in default we have put hundreds of billions of dollars to good use and have successfully completed a whopping 8,405 mortgage modifications! Nationwide we have done 66,465 permanent mortgage modifications less than 2% of the total loans that are past 60 days delinquent. I personally know of only two people that have actually received a mortgage modification. The dismal performance of the program marketed as a helping hand for the nation’s more than 3.3 million delinquent home loans was released last Friday in a Treasury Department progress report. Throughout Florida, which by every measure is one of the states hardest hit by the real estate crash, there are 8,405 permanent modifications. In Palm Beach, Broward and Miami-Dade counties combined there are 2,987 permanent modifications. Another 96,703 Florida loans are on trial modifications. The Making Homes Affordable program gives incentives to banks to modify loans in three basic ways; reducing interest rates to as low as 2 percent, increasing the life of the loan, and reducing the principal owed on the loan. Nationwide, 66,465 permanent modifications have been approved, less than 2 percent of the total loans that are 60 or more days delinquent. Another 46,056 permanent modifications have been approved by the lender, but not yet by the borrower. The median monthly decrease to mortgages that received permanent modifications was $516, according to the Treasury Department. From the beginning of the program, homeowners have complained about having to send lenders the same paperwork multiple times, while banks say borrowers provide the wrong documents or fail to meet the requirements for the permanent modification. Anthony DiMarco, executive vice president of government affairs for the Florida Bankers Association, said Friday that lenders have been on a learning curve, but are improving. Fort Lauderdale real estate attorney and foreclosure mediator Shari Olefson said the more than 1.1 million trial modifications offered to borrowers nationwide shows lenders are making an effort. The fact that just 66,465 have become permanent points to a fundamental problem with the program, she said. To qualify for a modification, a person’s monthly housing expenses must be more than 31 percent of gross monthly income. But you also must prove that you can pay for the modification. Olefson believes high unemployment and a steep loss in housing equity is keeping the plan from working. “The whole program was crafted before we correctly identified the problem,” she said. 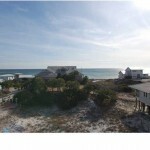 This week I chose a Bank Owned Property in Grayton Beach. 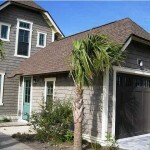 58 Sandy Lane is a gorgeous home just steps to the gulf in Grayton Beach! 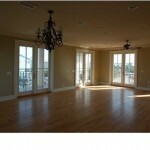 This never occupied home boasts over 4,600 square feet and offers excellent views of the Gulf! If you have a large family and love to have everyone over enjoying the best Grayton Beach has to offer the 7 bedrooms, 7 full baths, 2 separate living areas (one of first floor complete with wet bar the other on second floor), 2 laundry areas, granite counter tops, Thermador kitchen appliances, solid wood cabinetry, elevator, sophisticated central vac system, double garage, private pool, 1490 +/- sq.ft of porches/balconies, and much more will definitely satisfy your requirements. 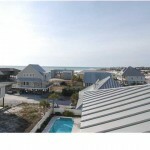 This Grayton Beach REO has just hit the market and at $1.99 Million it is priced a touch high in my opinion. This is an excellent home and definitely worth looking at if you are in the market for a great beach property along Scenic 30A. If you are interested in this foreclsoure in Grayton Beach and would like to preview other distressed homes, please give Tracy Baranowski 850.259.4270 or Craig Baranowski a call at 850.259.1788 or email us info@teambaranowski.com. 2009 was a tenuous year with one of the worst recessions we will see in our generation. Even with the government bailout programs there were record number of foreclosures and foreclosure notices. I expect 2010 to surpass 2009 in foreclosures as the bailout programs work through homes that can be saved and ones that can't. Banks repossessed more than 92,000 homes in December, up 19 percent from November. 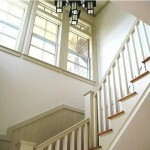 That increase was likely due to lenders working to clear their books at the end of the year, RealtyTrac said. The government also should refrain from "endless incremental program changes," the trade association said. Since April 2009, there have been nine instances where new program requirements were released, and more than 90 clarifications for new or revised forms, reporting changes and policies. The changes forced mortgage companies to implement new procedures and retrain employees, taking away time that could be spent helping borrowers. 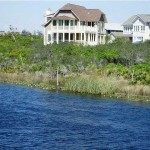 2009 was a tenuous year for real estate along the Emerald Coast. 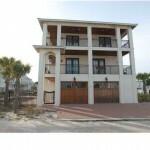 One key area that everyone has been watch and analyzing is the Panama City Beach condominium market. How the first full summer of Pier Park dining and shopping would influence the condo market in 2009 and how the opening of the new Northwest Florida Beaches International Airport in May of 2010 with Southwest Airlines will increase world wide exposure of Panama City Beach. 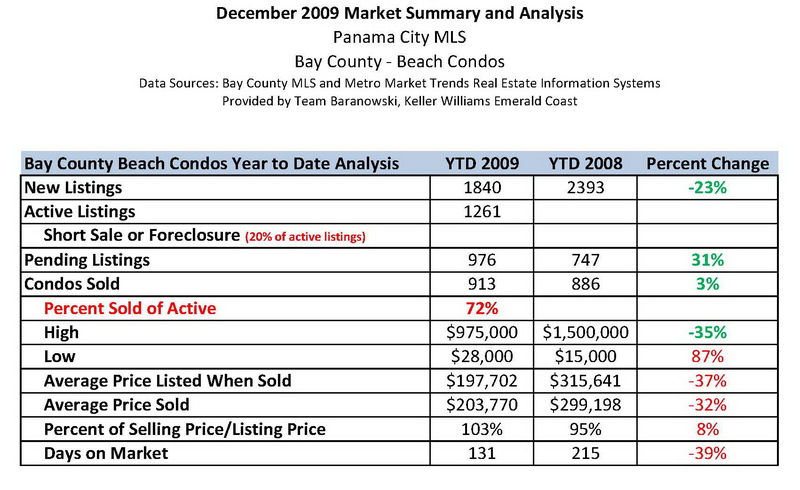 Consistent with our 2009 Market Analysis of South Walton Beach, Panama City Beach condos saw a 23% decrease in new inventory from 2008 and healthy increase in pending sales of 31% and sales transactions of 3%. Although the increase of sales from 2008 to 2009 was only 3%, it still was an increase that we are all excited about. Consistent with the real estate market downturn we saw Average list and selling prices of condos drop 37% and 32% respectively from 2008. 2010 is going to be another stressful year for condo sales as condo financing continues to be a significant roadblock for sales. 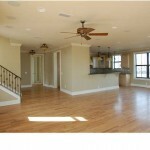 Cash buyers for condos represented less than 30% of all transactions for condos in 2009. Foreclosures and short sales will continue to be a major driving force for condos sales and condo prices and we expect an even great number of foreclosures and short sales in 2010. There is still excess developer inventory that must be worked through to keep condo prices in check and expect to see rental rates continue to stabalize and demand for Panama City Beach as a top vacation destination increases with the opening of the new Northwest Florida Beaches International Airport in May of 2010. 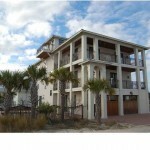 Download the pdf version of the Panama City Beach Condo Market Analysis for 2009. 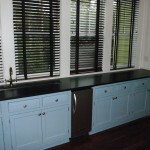 In 2009 we had an increase of 309% for short sales and foreclosures sold according to the Emerald Coast MLS and our year end market analysis. With moratoriums on foreclosures ending in 2010, we expect to see dramatic increases in distressed property including short sales and foreclosures. All market segments have been affected by the real estate market crash and along Scenic 30-A there were some very expensive homes sold as distressed properties in 2009. 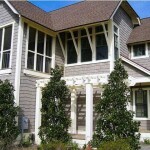 One of the most exquisite homes in WaterSound Beach. This 5,000sf home was designed by Dungan-Nequette Architects and centers around an exceptionally beautiful heated salt water pool, surrounded by an antique French stone courtyard with dining area. True, rough-hewn cedar shakes clad its exterior walls and roof. 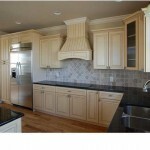 Custom cabinetry, eight-inch whitewashed Pine on all of the walls along with four-inch whitewashed pine on the ceilings throughout the house are just a few of the amazing details inside this home. 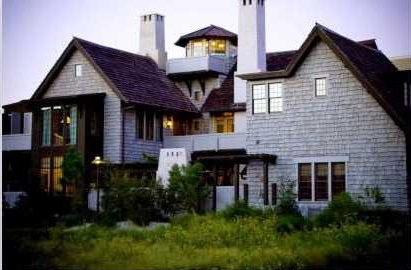 Originally offered for $6.7million in 2007 this WaterSound Beach home was sold for a steal at $2.4 million in September 2009 as a short sale. This amazing 4,601sf home with a Carriage house in WaterColor has breathtaking views of Western Lake and views of the gulf from the over-sized porches.This rare lakefront home resides in the highly sought after Cerulean Landing district in WaterColor. 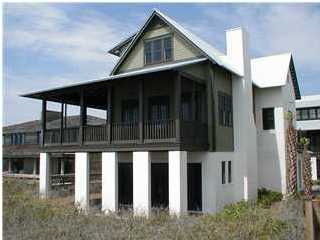 WaterColor homes have been hot properties for 2009 and this waterfront property with gulf views was one of the best deals to be had in WaterColor for 2009. 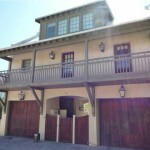 This home in WaterColor sold for $1,810,000 in April of 2009 as a short sale. 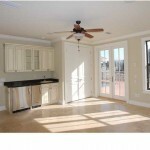 $393/sf for waterfront in WaterColor! 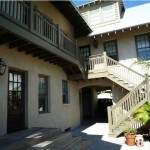 This magnificent gulf front estate in Blue Mountain Beach was an extreme distressed short sale. 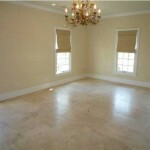 At 4,711sf this gulf front home was sold for $1,800,000 in February 2009 for $382/sf! 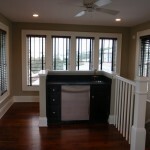 A price that we will never see again for a gulf front home and a home of this quality. 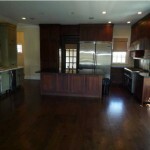 With gross rental income of $120K in 2008 this home is truly one of the BEST distressed deals for 2009! 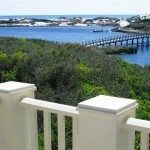 Team Baranowski is the leader in negotiating Short Sales along the emerald coast. 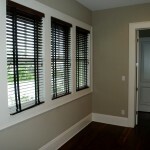 We had a 100% success rate with Short Sales in 2009! If you are a troubled homeowner, or have a family member or friend facing foreclosure, please give us a call for a confidential consultation about the possibility of a short sale. 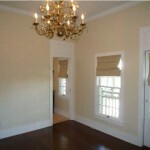 Call Craig Baranowski at 850.259.1788 or email us @ info@teambaranowski.com. 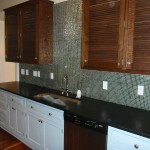 WaterColor has been a hot development for 2009 with 76 homes sold so far in 2009! A home in WaterColor with views of Western Lake and the Gulf of Mexico is rare…under $2mil…very rare…a bank owned foreclosure with views of Western Lake and the Gulf of Mexico for $1.4Mil…AWESOME! 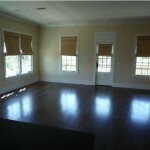 434 Western Lake Drive just came onto the market as a Bank Owned REO. 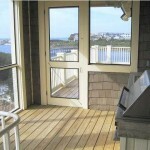 This is the WaterColor Beach House great buy that you have been waiting for. 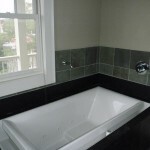 Three of the four bedrooms have en suite baths. Rear access for parking, too many upgrades to list so I will just mention the gourmet kitchen, lookout with bar, stone and brick wood burning fireplace, over sized bedrooms, 12 foot ceilings, breakfast nook, intercom, sound system, crushed ice maker and of course all of the amenities available in Watercolor! 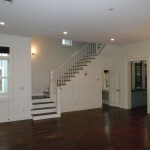 This is a must see, not your typical foreclosure. It is immaculate!! 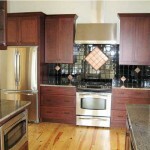 Built in 2005 3,366 sqft 4 bedrooms 4 full and 1half bath. 434 Western Lake Drive in WaterColor is currently offered for $1.4 million If you are interested in this distressed home in WaterColor or would like to preview other homes in WaterSound Beach. 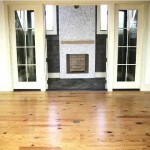 Please give Tracy Baranowski 850.259.4270 or Craig Baranowski a call at 850.259.1788 or email us info@teambaranowski.com. 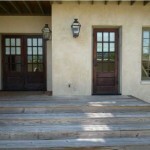 We saw the number of homeowners on teh brink of foreclosure fall in November for the forth straight month. Mortgage companies continue to evaluate whether borrowers are eligible for help and thus artificially slowing down foreclosures. Nearly 307,000 households, or one in every 417 homes, received a foreclosure-related notice in November, down 8 percent from a month earlier, RealtyTrac Inc. said Thursday. Banks repossessed about 77,000 homes last month, down slightly from October. Millions of borrowers are still being evaluated for the Obama administration’s foreclosure prevention effort. States are also trying to delay the foreclosure process, temporarily lowering foreclosure numbers. But the foreclosure crisis is likely to get worse before it gets better. 2010 is going to be a bumpy ride! Nevada posted the nation’s highest foreclosure rate, followed by Florida, California, Arizona and Idaho. Rounding out the top 10 were Michigan, Illinois, Utah, Maryland and New Jersey. Spending lots of money but where are the results? Nationwide, a report Wednesday showed only about 10,000 homeowners received permanent loan modifications this fall under the Obama administration’s mortgage relief plan, more evidence of serious failings in the government’s effort. Elizabeth Warren, chair of a watchdog panel, told reporters that the program is “not working” and that it had failed to make a dent in the record level of foreclosures. More than 14 percent of homeowners with a mortgage are either late on their payments or in foreclosure, and that number is expected to keep rising as unemployment remains stubbornly high. The Treasury Department is expected to release updated figures Thursday, but data through October showed that fewer than 5 percent of homeowners who completed the trial periods had their mortgage payments permanently lowered to more affordable levels. Under the program, eligible borrowers who are behind or at risk of default can have their mortgage interest rate reduced to as low as 2 percent for five years. They are given temporary modifications, which are supposed to become permanent after borrowers make three payments on time and complete the required paperwork, including proof of income and a hardship letter.